From riding bikes to performing advertisements on television, MS Dhoni has become a brand which has a greater impact than Bollywood stars with the youth forming a large part of consumers. But all these become secondary if he does not perform well on the field, as seen in the last six months following consecutive Test defeats in England and Australia. MS Dhoni is the ideal man to have as a role model for an aspiring sportsperson, becoming rich and popular with his endorsements but at the same time the main focus is on the sport. His rise over the last seven years of his career has been phenomenal and is equal to Sachin Tendulkar when it comes to being a household name in India and influential across the world. He was born on July 7, 1981 in Ranchi, the capital of the state Jharkhand to a Rajput family. His education was sophisticated, as he went to the DAV Jawahar Vidya Mandir in Ranchi till Grade 10. He was initially not fascinated with cricket, since he excelled in badminton and soccer at the district and club levels. However for Dhoni it happened by accident that his soccer coach sent him to play cricket for a local club and impressed immediately with his wicket-keeping skills due to his position as a goalkeeper in soccer. With good performances in school cricket, he decided to focus on the game which eventually resulted in his Ranji Trophy debut for Bihar in the 1999-2000 season at the age of 18. A decent outing in domestic cricket saw him play in the India A team in 2004 for the tour of Zimbabwe and Kenya. In Zimbabwe against Pakistan A, he hit two consecutive ODI centuries and kept wickets extremely well throughout the tour. This acted as catalyst to his call-up to the Indian ODI squad for the tour of Bangladesh in December 2004, as he was noticed by the then India captain Sourav Ganguly and commentator Ravi Shastri. He failed in Bangladesh but Ganguly had the confidence in him and so he was selected for the 6 match ODI series against Pakistan. And in the second ODI at Vizag, he smashed 148 off just 123 balls promoted up the order to No.3 and that innings was crucial in India gaining a thumping victory. Come October 2005 and he again at the same position hit a blitzkrieg 183 off 145 balls against Sri Lanka, as India chased down 300 with four overs to spare. He broke the record of the highest score by a wicket-keeper batsman in ODI cricket, which was previously held by his childhood idol and Australian Adam Gilchrist. Those two innings alongside his long hair, made him the most talked about cricketer in the country for a period of time as he earned the reputation of a hard hitting batsman, whose unpolished wicket keeping skills could be ignored considering the quality of keepers produced in the country. He made his Test debut in the same year, against Sri Lanka at Chennai as he went on to earn a B-grade contract from the BCCI, which was impressive considering he had just played one year of international cricket. Gradually, he was able to phase out the threat of Parthiv Patel or Dinesh Karthik playing as regulars in the team as he thought to improve his keeping skills. While his ascent in Tests was slow despite his maiden century in Faisalabad against Pakistan incidentally, it was the reverse in the ODI game. 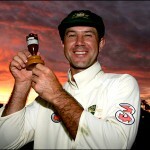 Such was his impact that he was ranked No.1 in the ICC ODI batting rankings, as he overtook the in-form Ricky Ponting in April 2006 for one week until Gilchrist went above him. Dhoni’s role was massive in India’s streak of 16 successful consecutive ODI chases from the period of October 2005 – May 2006 where he played the perfect finisher for the team alongside the likes of Yuvraj Singh and sometimes captain Rahul Dravid. However, once that streak was over, the team’s form dipped and so did Dhoni’s in terms of both batting and wicket keeping. He had a mini revival in the home series against West Indies and Sri Lanka prior to the World Cup 2007, but at the grandest stage of them all he failed miserably having scored just 29 runs in 3 innings as India crashed out of the first round of the competition. But the selectors kept their faith in him following his, what could be called ‘just above average’ performances against Bangladesh and for the Asia XI against an Africa XI consisting mostly of South African players. The tour of England was the first indication that he could be appointed Indian captain in the future following his promotion as vice-captain of the ODI team and a A-grade contract, which is the highest an Indian cricketer, can get. He had a decent tour scoring a gritty 76 not out in the second innings of the first Test at Lords to save India from a prospective defeat. The second Test hundred still eluded him but it was forgotten about following a historic 1-0 series win. He had a miserable run in the ODIs but his best days were ahead of him. He was as expected named captain for the World T-20 in South Africa and led a young team with aplomb to the championship glory. This began a new era in Indian cricket, and hope had risen in the Indian public, after their anger towards the team not long ago. The tournament began with a thrilling tie against archrivals Pakistan, which India went on to win in the bowl out contest. It did not seem like India would be one of the main contenders for the title following a 10-run loss to New Zealand in the first Super 8 game but then began the turnaround. Dhoni inspired India to pull off a four match winning streak with the first being an 18-run victory against England in the next Super 8 match, despite another edgy bowling performance. The match was famous for Yuvraj Singh hitting six sixes in an over bowled by Stuart Broad. Up next was the biggest challenge, to play hosts South Africa. India put up 153 runs on the board, but were able to defend it in style courtesy youngsters such as Rohit Sharma, Dinesh Karthik and RP Singh who starred in this game amidst the pressure. India were to meet Australia in the semifinal at Durban once again, and they continued their success at this ground with the huge Indian diaspora behind them. Yuvraj again was the hero, hitting 70 runs off 30 balls and Dhoni kept his faith in Joginder Sharma, the rookie bowler to bowl the last over of the match despite the dangerous Michael Hussey on strike. It worked wonders with India winning by 15 runs to meet Pakistan once again in what was to be an exciting finale at the Wanderers in Johannesburg. India batted first but struggled to get to 157, despite a 75 from Gautam Gambhir. Pakistan in reply were topsy-turvy, as Irfan Pathan and Joginder Sharma reduced the run scoring to a huge extent but Misbah ul Haq hit Harbhajan Singh for 3 sixes in an over. It came down to Pakistan requiring 13 runs off 6 balls. Joginder was entrusted to take the responsibility yet again and could have disappointed until fatefully Misbah erred in trying to play the paddle shot over fine leg and S Sreesanth took the catch which won India the match by a narrow 5-run margin and thus the World Cup. Dhoni was accountable for leading the team without the help of a professional full-time coach and in that format of the game which was unknown to them. The players had a heroes reception in Mumbai with an open bus ride organized for them, and people turned up on the streets despite rain, showing how badly Indian cricket needed this win. But the euphoria could not last for long as India had to play Australia in an ODI series at home, and Dhoni was the obvious choice to captain the team following Rahul Dravid’s resignation from the post. India lost the 7 match series by 2 games to 4, but winning those many games against the world champion side was quite an achievement at that time and Dhoni as captain was impressive in handling a team having the big three, Dravid, Ganguly and Tendulkar who have captained India before. While India’s T-20 success continued with a one-off game against the Aussies ending in a win. Pakistan were the next to arrive and the series marked Dhoni’s first series win as ODI captain. India won 3-2, and it also saw an extremely rapid transformation of Dhoni not only cutting his hair short like his friend and Bollywood actor John Abraham but also becoming more of a shrewd finisher for the team rather than just a mindless slogger who batted lower the order. He seemed to enjoy becoming more responsible after being appointed captain and it gave one the feeling that it was the best thing which could happen to Indian cricket. The ODI tri series in Australia in early 2008 was the acid test for Dhoni since he was only one series old as captain and he was alleged to have been the catalyst in the sudden omissions of Sourav Ganguly and Rahul Dravid from the team and yet retaining Sachin Tendulkar. Besides, India were playing the champion team in their backyard, after a controversial Test series and had to also contend with the World Cup finalists Sri Lanka. Yet, the team put all these negative issues behind them to play a vibrant brand of cricket and eventually topple Australia in the best of 3 finals by winning 2-0, with Tendulkar doing well in those two games after a lean patch and Ishant Sharma extending his Test form in the ODIs by ending as the highest wicket-taker amongst all the bowlers in the series. Rohit Sharma was also another find of the tour with consistent performances and Gautam Gambhir solved India’s problem at the top of the order, which Ganguly had left void. It was then time for the inaugural season of the Indian Premier League, and Dhoni was bought by the Chennai Super Kings franchise for USD $1.5 million, owned by the current BCCI president N Srinivasan’s company India Cements. It proved his stature in international cricket as he was one of the most expensive players bought in the auction by any team. Not to mention, he was appointed captain and thus the icon player of the team. He led the team in the first season to the final, before they lost to Shane Warne’s Rajasthan Royals. But the season was instrumental in the revival of Suresh Raina as he batted at No.3 for the team and scored a huge amount of runs. This made Dhoni push for his inclusion in the Indian ODI side to play next in Bangladesh for a tri-series involving Pakistan as well with Sachin Tendulkar rested for the series. The tri-series was not a success with India losing the final to Pakistan and a similar fate was to occur for the team in the Asia Cup in Pakistan. India played exceptionally well in the lead up to the final but ended as runners up to Sri Lanka, whose young spinner Ajantha Mendis bamboozled their batting line-up with his ‘carrom ball’ in particular. It was a prelude to their troubles against spin in the Tests to follow in Sri Lanka but Dhoni was amongst the best batsmen to tackle Mendis in the ODI series with Tendulkar and Sehwag remaining absent from the one-day team. It was a different Dhoni to watch with the big shots coming not so often, but the ones and two taken on a regular basis as he maneuvered the ball to different parts of the ground in the attempt to find gaps and run exceptionally fast between the wickets. It showed the street smart cricket brain he had, and it left Sri Lanka clueless as his two fifties in five games helped India win the series 3-2 and Dhoni became the first Indian captain to win a bilateral ODI series in Sri Lanka. It also began a brilliant run for the team in one-day cricket for the next few years to come. Australia were to come to India again for a Test series. Anil Kumble, who was the then Test captain of the team, got injured after the first Test at his hometown in Bangalore and so MS Dhoni was to lead the team for the first time in Test cricket come the second Test at Mohali. India won the match by 320 runs; the biggest margin the team has ever won a Test by of all-time. It gave them a 1-0 lead in the series, with 160 crucial runs in the match from his bat. Kumble decided to quit Test cricket after the drawn match in Delhi, which ensured that Dhoni was named the Test captain on a regular basis. India won the final Test at Nagpur to take the series 2-0 and regain the Border Gavaskar Trophy. He began his leadership in the longer format of the game successfully and ensured a fitting farewell for Sourav Ganguly, by allowing him to captain the team for a few overs of the Australian second innings as a tribute to his contributions to Indian cricket as their leader and the fact that it was under him that Dhoni made his international debut. England had to come next into India for a full-fledged tour of seven ODIS and two Tests. The ODIs were reduced to a five match affair following the 26/11 terror attacks in Mumbai. And India took all the five games in their favour, making it a series whitewash. It was almost a flawless performance from the team with the batting and the bowling complementing each other. But in the Test series, England almost had caught India off guard in Chennai, as they were left to chase 387. The impossible was achieved despite the fact that India chasing successfully in Test matches was a rarity. It ended a fine 2008 in style as Dhoni won 3 of out his first 4 Tests as captain, one being a draw against England at Mohali. It was an incentive for 2009 to begin in positive fashion. MS Dhoni led the team for the second time in ODI cricket in Sri Lanka and the result was even better. It was a 4-1 win in 5 ODIs, and the team also prevailed in the only T-20 international. The ‘Captain Cool’ had a majestic run with the bat, with 268 runs in 5 games averaging 89.33. The year went extremely well for the team and Dhoni who clearly established himself as one of the top batsmen in world cricket in the one-dayers, and not just a great finisher. 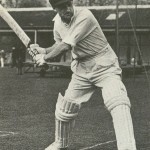 He ended the calendar year with 1198 runs in 24 innings at a stunning average of 70.43, mainly remaining unbeaten since he essentially bats at either No.5 or No.6. This won him the ICC ODI player of the Year Award. Ricky Ponting scored the same amount of runs as him, but he took 30 innings to do it which made the Indian captain regain the No.1 spot in the ICC ODI rankings for the first time in three years, until another Aussie Michael Hussey replaced him in early 2010. While the team had a mesmerizing tour of New Zealand, burying the ghosts of 2002. The hosts were comprehensively beaten 3-1 in the 5 match series, while the Test series was duly won 1-0. India tasted rare away success in both formats of the game, as Dhoni was now able to build a team capable of dominating world cricket for a period of time. On a short 4 match ODI tour of the West Indies, India won 2-1 and in a tri-series in Sri Lanka involving the Kiwis again, India beat the hosts in the final. During the tournament, India held the World No.1 ranking in ODIs but only for a period of 24 hours, the shortest reign easily by any team. But it proved India’s resurgence for sure. It was an average end to the year with India knocked out in the first round of the ICC Champions Trophy in South Africa after losing to Pakistan in the first game of the tournament at Centurion. But Dhoni will remember the match against West Indies when he decided to bring himself onto bowl and picked the wicket of Windies batsman Travis Dowlin, who was clean bowled. It is his only ODI wicket till date. While in the 7 match ODI series which followed, against Australia at home, Dhoni scored a hundred and a fifty in both of India’s wins but the visitors admirably fought hard to take the series 4-2 again, like in 2007. Sri Lanka were to come to India for a full tour and Dhoni’s unbeaten streak continued with a comfortable 2-0 win in a 3 match series and with the win, India were officially ranked No.1 in Test cricket, overtaking Australia. In one of the Tests, India scored 726/9 which is their highest Test score till date. And Dhoni scored two centuries in the series. But he could not celebrate all this for long because he was banned for the first time in his career for 2 ODIs following a poor over rate. In T-20s though, Dhoni had a disastrous 2009. When it came to the IPL in South Africa that year, Chennai Super Kings were knocked out in the semifinals by the Royal Challengers Bangalore, finishing fourth in the tournament after being one of the favourites, having picked Andrew Flintoff in the team. They finished fourth and were not given an opportunity to play in the Champions League that year. While in the T-20 World Cup in England, Dhoni and co. were the defending champions but were unceremoniously dumped in the Super 8s stage of the competition following defeats to England, West Indies and South Africa with the captain criticized for winning the toss and bowling first in all the matches and in the match against England, he sent Ravindra Jadeja to bat at No.4, above Yuvraj Singh which eventually cost them the game by 3 runs. Nevertheless, 2010 began for India in Bangladesh where they lost to Sri Lanka in a tri-series final. But they managed to win both the Tests against the home team, which was a warm up for playing South Africa for a short home series which involved two Tests and three ODIs. Dhoni’s Midas touch of turning everything into gold in Tests faded after his first defeat as Test captain, which was against the Proteas in the first Test in Nagpur by an innings and 6 runs. But the team staged an admirable comeback at the Eden Gardens in Kolkata to win the next Test match and level the series 1-1. While India won the 3 match ODI series by 2-1, with the match at Gwalior remembered the most for Sachin Tendulkar’s double century. What was to come next was the T-20 season which had the IPL and another World T-20, this time though it was in the Caribbean. In the IPL, Dhoni finally led Chennai Super Kings to the title for the first time ever and they were the deserving winners because they were the most consistent team in the last three years. It saw the emergence of the likes of Murali Vijay and Ravichandran Ashwin, who are a part of India’s plans for the future with Ashwin already playing in both formats of the game. Besides, Chennai were said to have the highest brand value in 2010, overtaking Shah Rukh Khan’s Kolkata Knight Riders because of Dhoni’s influence in this format of the game and his success as captain winning him and his team huge popularity in the cricketing globe. While in the World T-20 2010, India once again put up a flop show with the only highlight being Suresh Raina’s match winning century against South Africa at Gros Islet, batting at No.3. Dhoni was just not able to get things right as the players seem exhausted after the IPL and the batsmen were clearly struggling to play short-pitched bowling. The Super 8s saw India losing all the matches, to Australia, Sri Lanka and hosts West Indies yet again. The Asia Cup in mid-2010 was to be held in Sri Lanka and this time India were able to take the honours of being declared the champions of Asia after defeating the hosts in the final and in route to it, getting the better of Bangladesh and Pakistan. It was an extended trip for Dhoni’s men in the Emerald Isles as the side had to play the hosts in a 3 match series and another tri-series with New Zealand involved it was to follow. In the Tests, India lost the first one at Galle as it was the last for Muttiah Muralitharan who gave it his very best shot and ended with 8 wickets in the match which was enough him for him to end with exactly 800 Test wickets. But somehow India won the final Test at the P Sara Stadium in Colombo to level the series at 1-1. This was a better performance by the team than in 2001 under Sourav Ganguly and in 2008 under Anil Kumble, when they lost both the series 1-2 in Sri Lanka. The triseries though was not that big a success with Sri Lanka defeating India in a final in their own backyard after ages, despite Dhoni scoring a 100-ball 67 in the match. However, his record in Sri Lanka is by far the best by any Indian captain in both formats of the game. But he need not be have been disappointed because it was time for the Champions League in South Africa where he had to lead the Chennai Super Kings and the Sri Lanka series was good warm up for him to be in full shape for the competition. And Chennai complete the perfect double, winning the IPL and the Champions League in one year itself and confirming its reputation as one of the finest T-20 sides in the world. Australia were to come to India yet again, but like South Africa it was only for playing 2 Tests and 3 ODIs. The Test matches were played first, and India for the first time whitewashed Australia in a series, winning 2-0 in 2. Dhoni may have had a poor run with the bat but his captaincy was crucial in the victory as he thought that in the second Test at Bangalore, Cheteshwar Pujara could bat at No.3 in the second innings in the run chase of 207 in the place of the out of sorts Rahul Dravid. The move worked with Pujara scoring 72, playing a crucial role in India winning by 7 wickets and retaining the Border Gavaskar Trophy. With that, India had beaten Australia in five of the last eight Tests played between them and under Dhoni; they had won four out of six although all were played at home. The ODI series was a dampener, but India won the only completed match played. New Zealand were the second team to play India at home that winter, coming over for a long tour of 3 Tests and 5 ODIs. India were a little scratchy in their cricket, perhaps due to an overkill and it could been seen in their performance in the first Test in Ahmedabad which could have been lost but instead ended in a draw, after India were 15/5 at one stage in the second innings. The same result awaited the team in Hyderabad, which put Dhoni under some pressure because a team like New Zealand salvaging two drawn Tests in India were as good as victories and a series defeat or another draw in the final Test at Nagpur would have raised much more flak, as India had not lose a home series since 2004 and had last drawn a series against a strong South African side in 2010 itself. But all ghosts were put to rest as usual with Dhoni’s cool headedness and patience doing wonders to Dravid’s 191 in the match and he himself contributed with 98 runs in the same innings to hand India a win by an innings and 198 runs to take the series 1-0 and assured that they retain their numero uno spot in Tests until January 1 2011. But Dhoni’s biggest challenge was to arrive in the next twelve months with tours to South Africa, England and Australia. These three countries have been difficult to tour for India over the years although under his tenure, India had already won in New Zealand and Bangladesh and drawn a series in Sri Lanka. The South African tour of late 2010 began in the first Test at Centurion in disastrous fashion, with the hosts being the culprits again in Dhoni losing his second Test as captain. The innings defeat was an extension of India being traditionally poor starters in a series away from home and it was a prelude to their struggles in England and Australia the following year. India did come back once again into the series by winning the next Test in Durban and a 96 run victory showed that both India and South Africa equally deserved to being considered as the best team in the world in Test matches. The series ended in a 1-1 stalemate, following a draw in the last Test at Cape Town which could have been India’s game had it not been for Jacques Kallis’ hundred in the second innings. 2011 began in an odd fashion for the team as South Africa continued their dominance at home against India in ODIs. India won two games out of five, one being a thrilling 1 run win at Johannesburg defending a mere 190. India had lost their first bilateral series away from home since September 2007 when they had lost to England in England. Yet, it was a good preparation for the World Cup which was to be held in the Indian subcontinent with several players coming under the spotlight for Dhoni to recommend the Indian selectors to pick them in the preliminary squad. The World Cup began in style for India despite the hoopla prior to the tournament about old wounds reopening because their first match was against Bangladesh, the same team that knocked them out in the 2007 edition of the tournament with an upset in the first group game. Dhaka though was fortunate a witness a spectacular 175 from Virender Sehwag and a 100 from Virat Kohli on his World Cup debut. Bangladesh tried to put up a fight, but were never in the game as India won comprehensively by 87 runs. But the next game was the big one, against England in Bangalore. Dhoni won the toss and chose to bat first on a belter of a pitch and India smashed 338 in 50 overs, with Sachin Tendulkar weaving a tapestry to savour with his composed 115-ball 120 and the captain contributed with a 25-ball 31. But the match ended in a dramatic tie, as Dhoni’s counterpart Andrew Strauss scored a high quality 145-ball 158 and towards the end of the innings, the Indian bowlers erred. Very few would have predicted that India would go on to win the World Cup, following the game as Dhoni was under pressure for making the bowling and fielding look mediocre and from the ICC to blame the UDRS system for the tie. The group stages did not go smoothly for the Indians as they did beat minnows Netherlands and Ireland, but lost to one of the pre-tournament favourites South Africa in Nagpur with Dhoni again criticized for batting 21 balls to score 12 runs, which was a bit unfair considering the fall of wickets at the other end. But it was fair to blame him for giving the erratic looking Ashish Nehra the ball for the 50th over with South Africa needing 13 to win, despite the in-form Harbhajan Singh having one over more to bowl. It did dampen their chances of topping the group with South Africa being in outstanding form. But India regrouped to beat West Indies in Chennai with a century from Yuvraj Singh, who was the player who had the maximum impact in the tournament after a long lay-off due to injury. By the time the group matches were finished, India were second amongst all the teams and were scheduled to face the defending champions Australia in what was to be a high-profile quarterfinal match in Ahmedabad. It was a do-or-die game for India and against the Aussies, one slip up and it was the end of the dream for Dhoni and co. However, India played an amazing brand of cricket against Ponting’s men with Dhoni innovative enough by making Ravichandran Ashwin bowl in the first powerplay itself to contain their run flow, just as he does to other teams in T-20 cricket and using Yuvraj Singh rightly against those batters who were likely to struggle against his left arm spin. India were left to chase 261 to win the match and there were moments of despair until Yuvraj and Suresh Raina guided home by 5 wickets and 2 overs to spare, making it a perfect revenge for the 2003 World Cup final loss. India’s confidence returned big time as to beat the world champions in a knockout match was the first step to get back in the competition. The semifinal against Pakistan was a crunch game and obviously high on emotions. India eventually prevailed by 22 runs to maintain their unbeaten streak in World Cups against their archrivals and set up a final against Sri Lanka (once again!) but this time in Mumbai. April 2, 2011 would go down in Indian cricket as one of the most memorable days like June 25, 1983 as MS Dhoni became the second Indian captain after Kapil Dev to lead the nation to World Cup glory, with the wait lasting 28 years. With the win, Dhoni also became the first captain in world cricket to win a World Cup at home and also the first to win a 50-over and a 20-over World Cup. The final was a reflection of the mastermind that he is and his reputation as one of the finest finishers in ODI cricket, as he batted up the order at No.5 despite being out of touch throughout the tournament. It is because he felt that his IPL experience with Muttiah Muralitharan for CSK would help him play the Lankan legend better than any other batsman in the team. His winning six over long on of Nuwan Kulasekara is an image etched till date in the minds of an Indian fan. His glorious season continued as he created another record for being the first captain to win 2 IPL titles. Despite the cricket overkill, Dhoni led Chennai with panache despite some stumbling early in the competition. But that was the beginning of the downfall as he decided to skip the ODI series in the West Indies owing to exhaustion and returned to lead the side in the Tests there. India may have won the series 1-0, but they did not live up with their World No.1 tag following Dhoni’s poor attitude of holding to a draw in a match which could have been won. Hence it was fitting that they lost that ranking to England, having being humiliated in all the 4 Tests played there. It was a series whitewash and Dhoni’s first series defeat as captain. He did contribute some runs with the bat, but those were not enough eventually. Come the ODIs and India did suffer from misfortune but that is no excuse for them losing 3 of the 4 completed matches, one being a tie. The Champions League that was to follow saw Chennai knocked out in the first round, with Dhoni leading the team to defeats against Mumbai and Trinidad. He was back in leading the side at home for a ODI series against England and his men took perfect revenge by drowning them 5-0 in as many games. West Indies as well returned to India and he led the team to a 2-0 win, but with a likely defeat in the Mumbai Test turned into a draw. Come Australia and the story was the same as England. Dhoni reminded many of Indian captain in the World War era, losing away Tests on a regular basis. Under his tenure, India have been defeated seven times in a row as Australia outplayed the Indians in all departments. Dhoni’s captaincy has come under the scanner for being passive and defensive, which is not how teams win Test matches in Australia especially. While as a batsman, his struggles outside the subcontinent have continued with no century since 2006 and in this series, he has just scored one fifty. To make matters worse, he has been banned from playing the Adelaide Test due to a slow overrate. He has also been slammed for stating that he would probably retire from Test cricket in 2013, a day before the Perth Test. The decision is understandable considering that he is one of the busiest cricketers in the world and is literally on his hunches for 300 out of 365 days in a year having to keep wickets, bat and lead his teams which takes a toll on a man endowed with tremendous physical, mental and intellectual ability. But the timing was poor, showing his disinterest to play Tests after losing the No.1 spot and the fact that he is far away from being called a champion leader as such people fight hard to win anywhere in the world. Certainly, what goes up has to come down. Could we see the end of the prime of MSD, the captain? He has led India in 33 Tests, the most by a wicketkeeper batsmen and to the top spot for 18 months. Sachin Tendulkar amongst many states that he is the best captain he has played under while Sourav Ganguly, according to me the best ever also agrees that Dhoni is the greatest Indian captain of all time. Afterall, he has made India proud at the world stage twice and is the icon of T-20s, the most popular format in cricket. Besides, as a wicketkeeper-batter, he belongs to the elite club of scoring 4000+ ODI runs and achieving 100+ dismissals. 2012 will be the toughest year for Dhoni although they play at home mostly. It will be fascinating to see if he can come back to give the Midas touch to India or the pressure of international cricket will finally catch up with him someday soon.